What does each of us – responsible citizens do to help those in need? How much of our free time is dedicated to those we know nothing about in order to give them comfort with the little opportunities that we have? 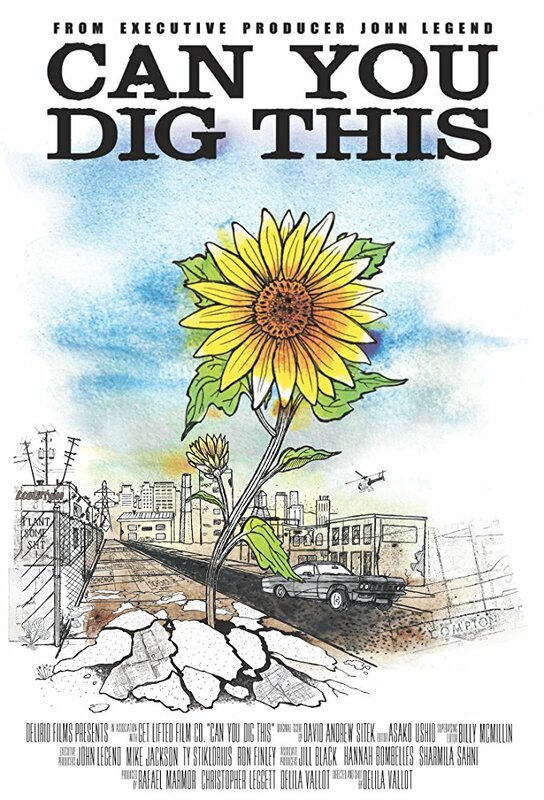 The documentary “Can You Dig This” tells us about Ron Finley, a person who does something very inspiring, uplifting and hopeful. Learning about people like him, I know we do not have to worry about the future as these people already do their best to take care of it. This film is an inspirational journey into the emerging movement of urban gardening in South Central Los Angeles. Ron Finley is a gardener from the toughest part of LA – the largest food desert in the country. As he initiates the idea to plant vegetables, people around him join this project to start spreading the green life and beautiful gardens around them. There gardens soon come to replace their previous occupations of selling drugs or being involved in gangs. Either of those dangerous occupations could cost them their lives or freedom, and it’s hard to tell which one is worse. As we are introduced to some of the characters of the film – Spicey, Kenya and her father Randy, we see that each of them has their reasons to start growing vegetables. This activity helps them to occupy their minds with something positive, keep them busy, and teaches them to embrace the beauty of life. They start changing for better and leave their guns aside because of the experience they gain during the process of transformation into somebody more reasonable and caring. In conclusion, Delila Vallot’s “Can You Dig This?” is not only inspirational but also educational. As we watch the film, we see the lives of its subjects change and we realize how much they can offer to the society, and by improving themselves, they help the society to develop and become a better place. They realize their own value and importance as they see the results of their work and the changes they bring to Mother Nature. By doing that, they can succeed at many levels and become respectable citizens in their own community, despite the fact that it’s still a very dangerous place to live. All the above mentioned make this film so remarkable that I hope it will be screened in every school. Educating the younger generation is almost like planting a vegetable garden – one day it will blossom. In that same way, we can plant the idea that there is always a way out of every hardship. There are so many things one can do to make this planet a better place, and that’s what the heroes of “Can You Dig This” prove to us.